I think I remember there was a post about a pre-IVA check list somewhere on the forum, but can't find it in the sticky's. I'm not taking an IVA test, but my last inspection in Sweden on Friday, and I thought it could give me headlines to make sure I'm not forgetting anything before going. Can't get the link to copy on my phone but if you do a search for 'checklist' there are 5 results. One of them is a thread by forum member spikehaus who did the blue v6 roadster which certainly contains some stuff about IVA stuff to check. 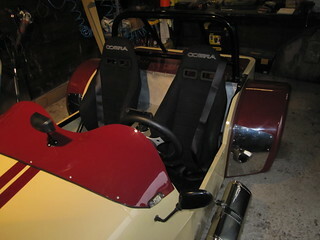 - e-markings on lights checked : yesterday I spent hours removing my "mini style" rear lights, bought at CBS, E-marked, but without the correct numbers for whether they are blinkers, stop light or rear position light. So pissed ! 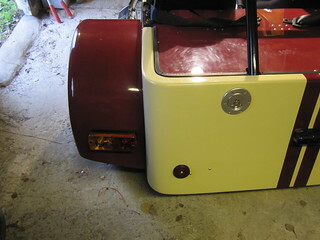 I had to put 2 ugly trailer's back lights, with the right markings, as well as new side repeaters. I think I'm OK now. So, knowing that here we don't have radius requirements you have in the UK, do you guys see anything I should check before going?